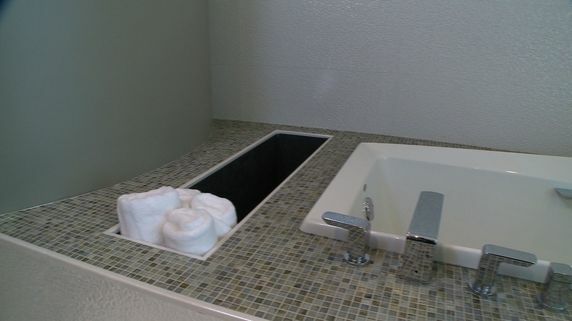 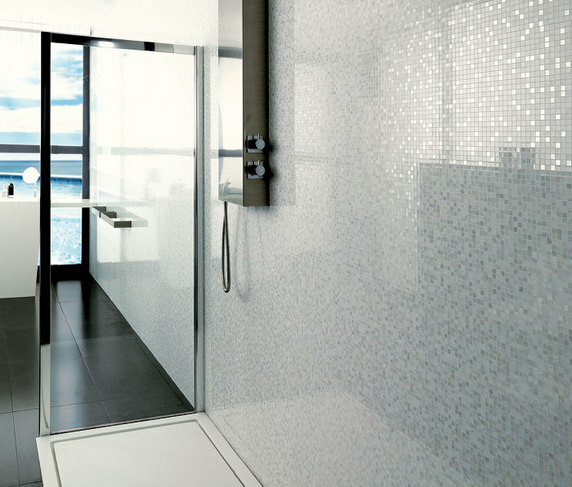 For a very zen feel, the homeowner used that same mosaic-looking large format tile in white on the walls and an actual mosaic tile in subdued green and blue hues around the spa bath. 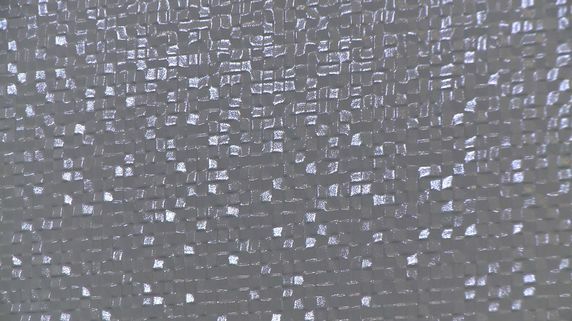 This large format tile looks like a textured mosaic. 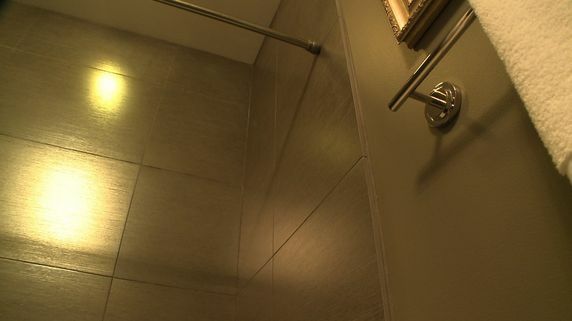 The townhouse we checked out used this in 2 different rooms in 2 different colors for 2 VERY different effects! 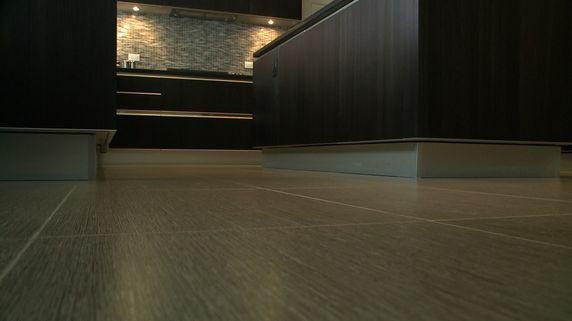 This metallic porcelain tile has a shimmery finish and works on any flat surface. 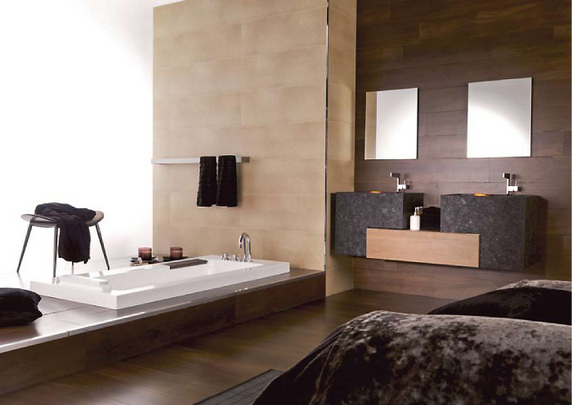 This Spa bathroom is furnished wall and floor with Roble Boston - Woodtec Porcelain Hardwood.TM It also features the Tetris Vanity, Tebas I Sanitaryware, Sphera Bathtub and Essence Brassware. 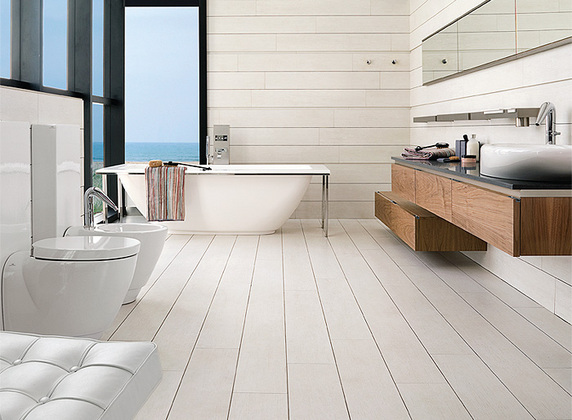 Bring forth the look of nature's serenity with Porcelanosa's Casona Cantagno without the maintenance of hardwood.